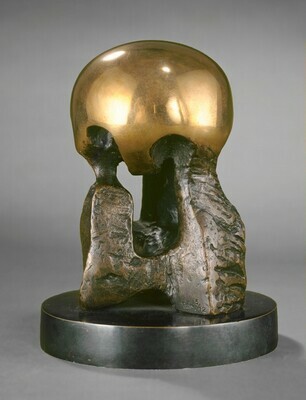 Home » Collection » Maquette for "Atom Piece"
Mr. and Mrs. Harry A. Brooks, New York, 1971; gift 1991 to NGA. Henry Moore [catalogue raisonné], Sculpture and drawings, Sculpture 1964-73. Edited by Alan Bowness. 6 vols. London: 4:39, no. 524. Sculpture: An Illustrated Catalogue. National Gallery of Art, Washington, 1994: 155, repro.